Commercial Bank of Texas offers entertaining performances! 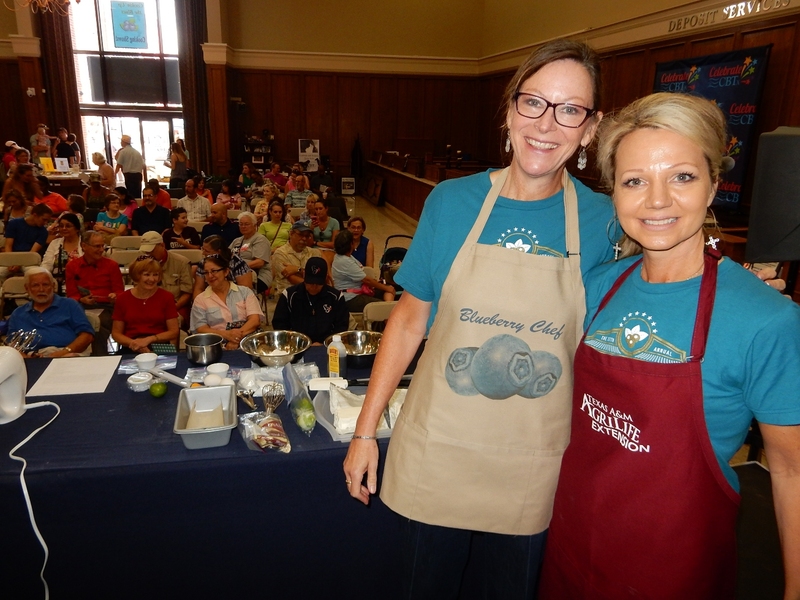 Local celebrity chef tag team Mary Olle and Claudann Jones (pictured left) will whip up some tasty blueberry delights in Cookin' Up the Blues - cooking demonstrations - happening in the CBTx lobby throughout the morning and early afternoon. Shows are at 10:30 a.m., 11 a.m. and 11:30 a.m. Recipes will be posted soon that will be demonstrated at the 30th Annual Texas Blueberry Festival presented by Tipton Ford-Lincoln.